London calling: Juan Martin del Potro is the top seed in Beijing. The men’s draw at the China Open will begin its proceedings on Monday in Beijing, where Juan Martin del Potro and Alexander Zverev are the top two seeds. Appearing for the first time since he lost the US Open final to Novak Djokovic earlier this month, Del Potro is making just his second appearance at the tournament, having made his debut here last year, losing in the second round to Grigor Dimitrov. Ranked No. 4 in the world, the Argentine is enjoying his career-best season, in which he claimed his first Masters 1000 title at Indian Wells and hit a career-high ranking of No. 3. The tournament has been hit with multiple withdrawals including Rafael Nadal, who is recovering from a knee injury that forced him to retire from his US Open semi-final against Del Potro, as well as Andy Murray, who has pulled the plug early on his season to focus on his getting his body back in shape after undergoing hip surgery last January. Del Potro and Zverev are at No. 3 and No. 5 in the ATP Race to London and the 500 points offered to the champion in Beijing can help them secure one of the five remaining spots at the season finale. Nadal, Novak Djokovic and Roger Federer have all booked their tickets to London, and Del Potro is hoping he can make a return to the elite top-eight finale for the fifth time in his career and first time since 2013. 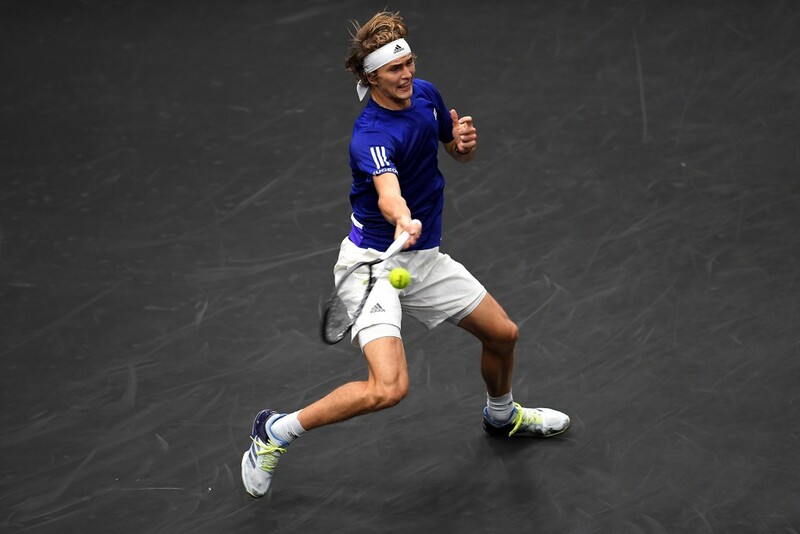 Zverev made his ATP Finals debut last year and is looking to make a second appearance at the O2 Arena in London. The pair are in prime position to qualify but the competition will be stiff among the likes of Marin Cilic (top seed in Tokyo this week), Dominic Thiem (won St. Petersburg a week ago and isn’t in action this week), Kevin Anderson (in Tokyo), John Isner (not playing this week), Kei Nishikori (Tokyo), and Fabio Fognini (made Chengdu final on Sunday, playing Beijing). “Of course, I got exhausted after big effort in New York. But I went at home, spending the time with family and friends. I trained hard to be ready for this tournament. I know how difficult is this tournament, Shanghai Masters and the rest,” Del Potro told reporters in the Chinese capital on Sunday). The ‘Tower of Tandil’ commences his assault on a third title this season against Albert Ramos-Vinolas. Zverev also faces a Spaniard, Roberto Bautista Agut. The reigning ATP Finals champion is a lowly 17th in the Race to London and will need to basically sweep a few titles if he plans on making it back to the O2 and try to defend his crown. 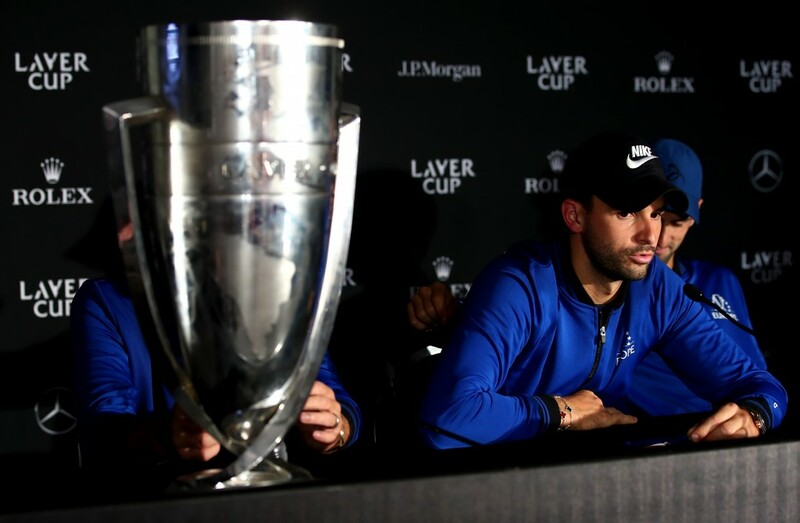 Dimitrov has won a mere total of four matches over the past four months (he is 4-5 win-loss since the start of the grass season in June) but is coming off of a win with Team Europe in the Laver Cup, which may have perhaps provided him with a change of scenery and confidence boost. The Bulgarian is seeded No. 3 in Beijing and plays American Ryan Harrison in the first round. Jack Sock is in a far worse position. The American, who made a late surge last year to qualify for London by winning the Masters 1000 title in Paris, is having a dismal year in singles and a brilliant one in doubles. Sock is 6-16 with one quarter-final in singles and 32-10 with five titles in doubles this season. He will be defending 1,545 of his 1,850 singles ranking points between now and the end of the year. He’s 160 in the Race to London in singles and can be at risk of missing the Australian Open main draw cut-off if he doesn’t defend some of his points. Tunisian Malek Jaziri takes on 18-year-old Chinese wildcard Wu Yibing in the first round on Monday. If he wins, joining his compatriot Ons Jabeur in round two, it would be the first time in history that an Arab man and Arab woman will have made it to the second round in Beijing in their respective ATP and WTA draws. 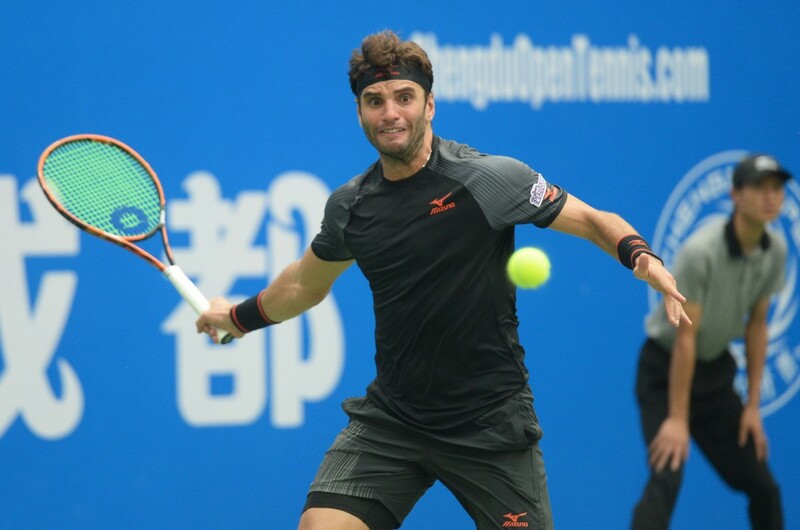 Jaziri made the quarter-finals in Chengdu last week and the doubles semi-finals at the US Open earlier this month. Wu won the US Open junior singles and doubles titles last year and is working with Maria Sharapova’s ex-coach Sven Groeneveld. He was the junior world No. 1 and is currently ranked 423 in the men’s rankings. 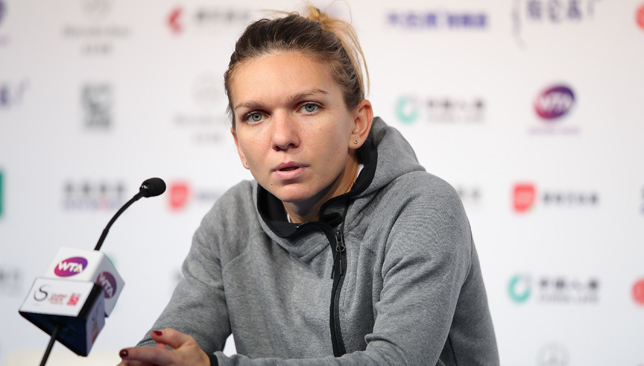 Simona Halep admits she is “worried” about the lower back injury that forced her to retire from her China Open first round against Ons Jabeur on Sunday. The world No. 1 sustained the back problem in Wuhan last week during a practice session with Petra Kvitova but said it was just a block that should get better in a few days. But Halep was clearly in pain during her first round in Beijing as she dropped the first set 6-1 to a confident and aggressive Jabeur. The trainer came out to try and help Halep during the set but she decided to retire as soon as the opening set was over. “There is a pain. I couldn’t move properly, so that’s why I stopped. I don’t know exactly what it is. I will go home. I will have an MRI and I will see,” said Halep, who is now on a four-match losing streak for the first time since 2012. Halep’s concern comes from the fact that she feels the pain is no longer simply a muscle issue. Halep pushed herself to play the full match against Dominika Cibulkova in Wuhan last week, but was hampered by the back during her straight-sets defeat to the in-form Slovakian. She didn’t want to do that in Beijing fearing she would exacerbate the issue even more. “That’s why I stopped, because I felt like it’s getting worse if I continue. Today I could stop. I think last week was also good point to stop, but I forced a little bit to see how it goes. But here it was a bit too much,” explained Halep. “[The pain was] since the beginning of the match. Also before at the practice. The pain didn’t let me at all. I knew that there is pain, but I thought if I warm up during the match, it’s going to be better. But wasn’t. Halep is still entered in the Moscow tournament, which is scheduled to take place from October 15 to 21, then should head straight to Singapore for the WTA Finals. On her part, Jabeur, who now has two top-10 victories in her career, looked visibly upset after Halep informed her she had to retire. “I didn’t want the match to end like this. I wanted a real battle. Unfortunately she was injured. I didn’t look happy because I didn’t want to win this way,” said the 113th-ranked Tunisian. Can't stop her: Aryna Sabalenka. 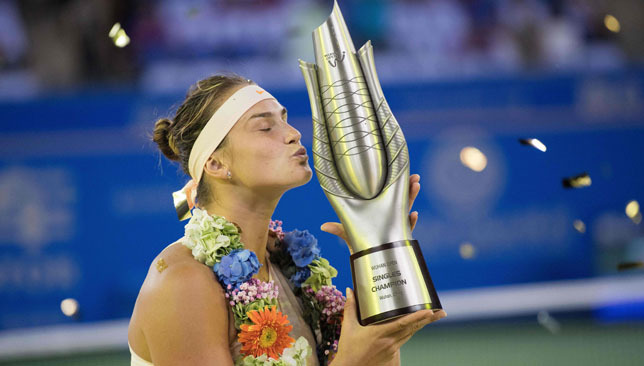 The fifth edition of the Wuhan Open wrapped up on Saturday with Aryna Sabalenka posting a convincing 6-3, 6-3 victory over Anett Kontaveit in the final to capture her second title of the year and her career. 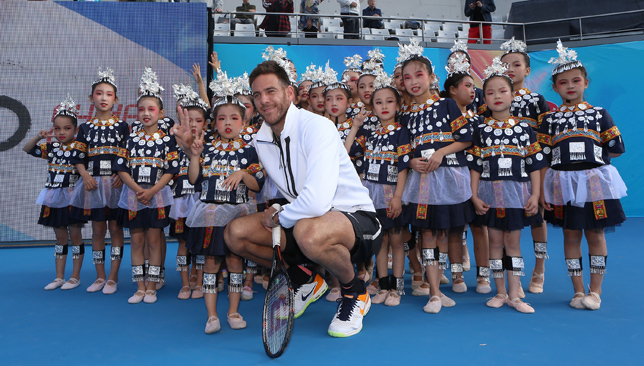 It was an eventful week in Wuhan but there won’t be any time for players to stop and reflect on it as everyone’s attention swiftly turns to the China Open in Beijing, where main draw play already kicked off on Saturday. Sabalenka’s sensational summer is turning into an awesome autumn as the 20-year-old continues her rapid rise. This time last year, she was ranked 111 in the world. On Monday, she’ll rise to a career-high No. 16. Her Wuhan title makes her the youngest player to win a Premier 5-level tournament since Belinda Bencic won Toronto as an 18-year-old back in 2015. Since her opening round loss in San Jose qualifying end of July, Sabalenka has put together a 20-4 win-loss record on tour – a stretch that included her maiden career titles in New Haven and Wuhan. The Belarusian plays with so much power and aggression, but it’s been properly harnessed ever since she hired Dmitry Tursunov as a coach before the grass season. She’s claimed seven top-10 scalps since then and is playing at such a high standard that we forget that she’s only 20 years old and hasn’t been competing at this level for so long. “I think I had a great experience this summer. I played a lot of matches. I didn’t play before that much. Probably with every match I get more confidence on court. That’s why sometimes it looks like I am long time on this level. But inside sometimes I’m like fight with myself,” explained Sabalenka on Saturday. – Youngest player to win a Premier-5 🏆since Bencic (2015 Toronto @ 18yo). At this point, you can’t help but wonder if Sabalenka can pull off a late charge and qualify for Singapore. She entered Wuhan at 20 in the Race, and is now up to No. 12. She’s just 670 points off the top-eight cut-off, and can close the gap on the leaders with a good run in Beijing. Caroline Garcia won Wuhan and Beijing back-to-back last season to make a surprise appearance in Singapore. Can Sabalenka follow suit? “Before Wuhan, I was really thinking about Singapore, that I really want to get in there. It’s makes me really nervous. Like, I couldn’t move on the court, I couldn’t do anything,” said Sabalenka. “Then when I was speaking with my coach, understand that is not the main goal for this year, it’s like not the main goal. Then I start to be more relaxed. She has a bye in the Beijing first round and takes on either Garbine Muguruza or Ekaterina Makarova in round two. With all top 15 seeds losing before the quarter-finals in Wuhan, the main contenders to secure the six remaining spots in Singapore all walked away from the tournament in the exact same position as they entered it. This means Beijing will prove to be a real decider for many of these players, with 1000 points on the line for the champion. Caroline Wozniacki hasn’t won back-to-back matches since Eastbourne end of June. The Australian Open champion is No. 5 in the race and is still trying to lock down a spot in Singapore. Garbine Muguruza hadn’t posted consecutive match wins since her run to the French Open semi-finals in June before she reached the third round in Wuhan last week. She ended up losing to Katerina Siniakova and is just No. 16 in the Race. Elina Svitolina, who hasn’t been as consistent as she’d like to be since winning Rome in May, had a solid US Open, making the fourth round, but her Asia swing has got off to a tricky start, losing to Sabalenka in her Wuhan opener, and blowing a 6-0, 4-1 lead against Aleksandra Krunic in the first round in Beijing on Saturday. The Ukrainian is No. 6 in the Race to Singapore and could lose her position if others do well at the China Open this week. From Wang Qiang’s stunning few months that saw her win two titles in China, an Asian Games gold, and reach the semis in Wuhan, to Wang Xiyu’s US Open junior success and brave performance in Wuhan (the 17-year-old held four match points against world No. 13 Daria Kasatkina), the future of Chinese tennis looks quite promising. Even the Wuhan tournament itself showed great progress. More fans were in the stands for every session, compared to previous years, and you can tell spectators are getting more knowledgeable about the sport. US Open champion Naomi Osaka is back in action this week after skipping Wuhan with a viral illness. The young Japanese followed up her run in New York with a final appearance in Tokyo, showing incredible poise amid the pressure that comes with being a new Grand Slam champion. Osaka takes on qualifier Zarina Diyas in her Beijing first round and is keeping things simple as she looks to secure her ticket to Singapore – something she admits she couldn’t imagine would be a possibility at the start of the season. “After I won Indian Wells, I saw I was on, like, the board, I could possibly make it. I was really excited for that,” added Osaka. On how she’s kept her level-headed mentality post-US Open, the 20-year-old said: “I’m the type of person that I don’t really stop to think about what I’ve done. I just want to keep doing things. I want to keep pushing myself, especially when I see other people my age doing really great. Tunisian world No. 113 Ons Jabeur posted impressive straight-set wins over Monica Puig and Tatjana Maria to qualify for the China Open and will commence her campaign against top seed Simona Halep on Sunday. This will be Jabeur’s first meeting against a reigning world No. 1, and her fourth against a top-five player. She is 1-2 against top-five opposition, with her sole victory coming against Dominika Cibulkova at the French Open last year. Halep sustained a back injury in Wuhan that troubled her in her opening round loss to Cibulkova and says the pain has not subsided yet. “It’s much better than that day, but still sore. I try just to do as many as I can treatments because it’s really important. So I feel better. Hopefully tomorrow I will be really good,” Halep told reporters in Beijing on Friday.